1.) She loves to pretend and her imagination is always hungry for adventure. 2.) She has the cutest little laugh and it is rather contagious once she starts. 3.) She is a wonderful big sister to Anna Claire and loves for Anna to call her "My Maggie"
5.) She can't wait to grow up and get married because she knows she'll be a "good helper." Psst! Here's little 2 year old Anna Claire that Maggie is such a good big sis to. "I drew him smiling because this is the best day of my life." 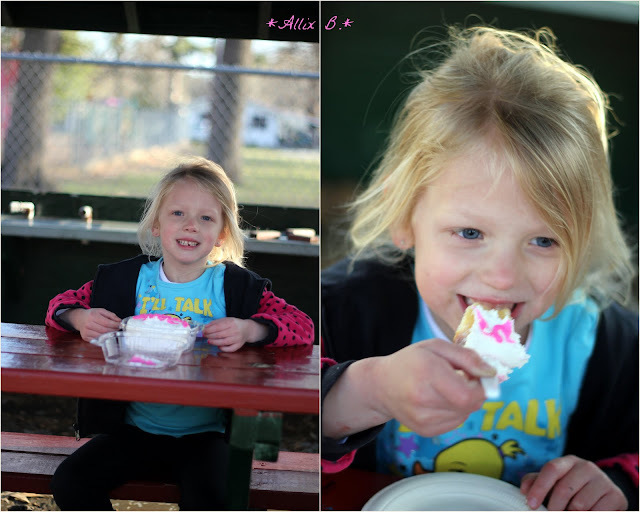 I like the pictures, Allix, photographing little girls is always fun! What's your favorite one?